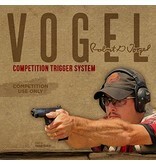 The "VOGEL" Competition Trigger System will offer light clean trigger breaks and shorter reset. It's enhanced controlability will give you the ability to deliver fast accurate hits. You definitely want this in your Glock at your next match. 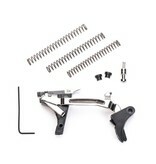 This trigger system has been APPROVED by USPSA and IDPA. Use it for Production / Stock Service Pistol Divisions. 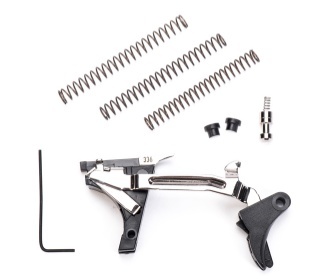 For the first time you will have maximum control over your trigger with an added spring set. Now you can quickly change your pull weight in 1/2lb. increments.